This month we’re taking you to a wonderful journey to discover the colors of our best production and the collections that revolutionized the mosaic industry. Mosaic is usually used in decorative patterns but thanks to our masters’ skills we were able to reach a higher level of perfection and to create a collection dedicated to portraits and icons. We basically started seeing things like the human face as made of smaller tesserae, and considering our mosaic composition as a real language to speak about the world. 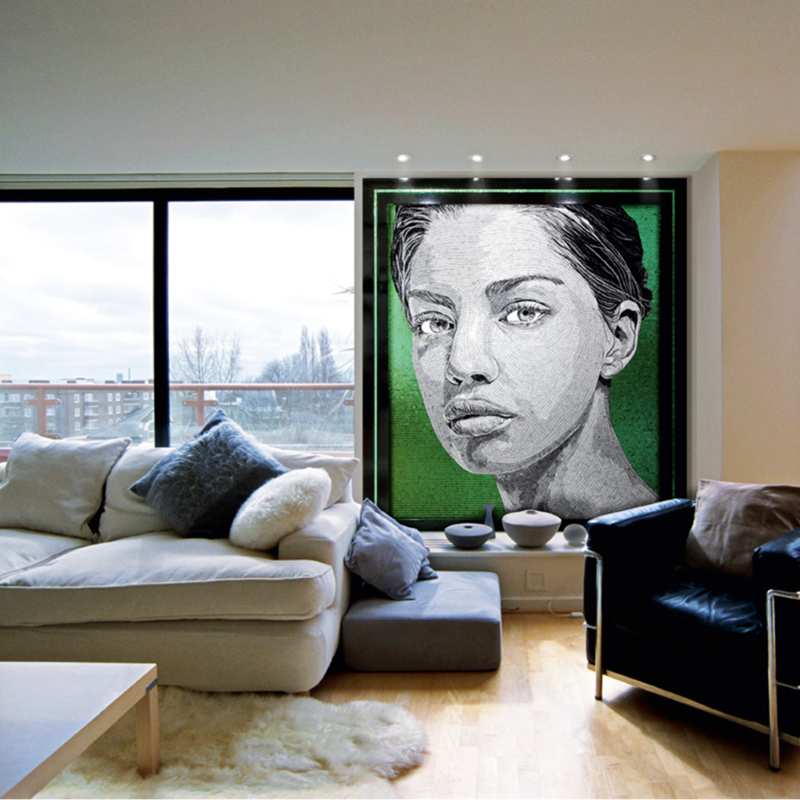 We decided to go for daring subjects as a way to truly set ourselves beyond common mosaic compositions and we started introducing pop-art into our works. 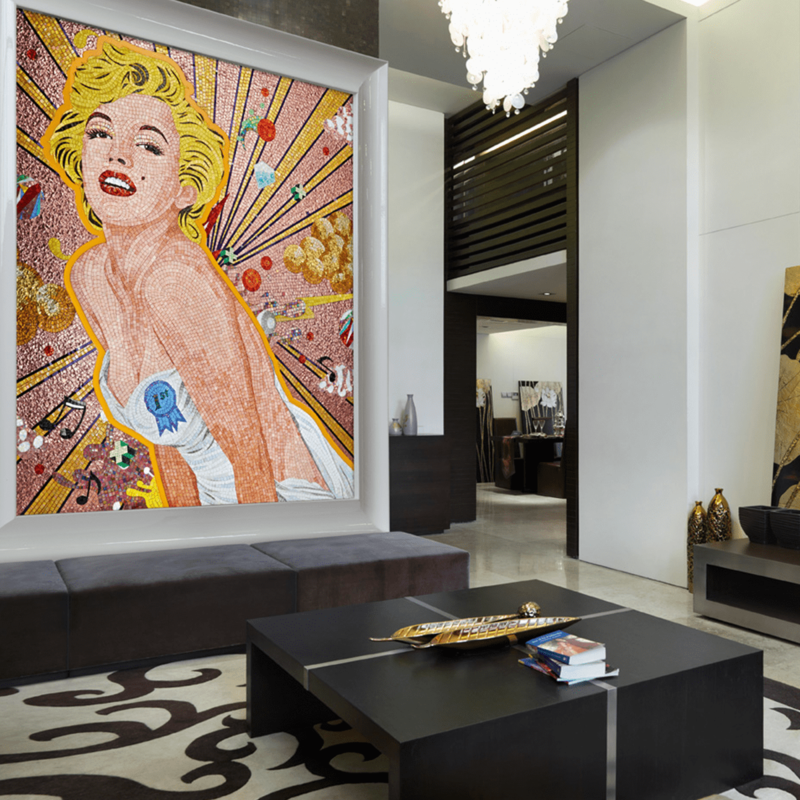 The Marylin you see below is the right example of what innovation in mosaic means to us and it is made of creativity, impeccable materials and superb artisanal skills. When we say that we see mosaic as a mean of expression, as a language to talk about the world, we mean being able to also interpret trends, like the comics one in fashion.You may have followed the latest Italian runaways and seen Prada’s interpretation of this trend, form set-ups to clothes. Our mosaic too has interpreted this trend and as you see below, the result couldn’t have been more stunning. During years, we’ve distinguished ourselves not only because of these collections, but also for the interpretation and care we had of our heritage, the constant search for innovation and best quality in materials. We summed up our history into an immersive exhibition we called Destination Micromosaic, open till January 7 at Palazzo Rasponi, in the heart of Ravenna. Come visit! Click here to subscribe to our newsletter and stay up to date with all the news regarding Sicis world.